Friday Beach Pucture, originally uploaded by captainjay. 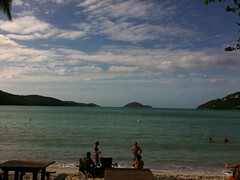 This was yesterday afternoon at Magen's Bay. Having fun with the Schaub's in town.